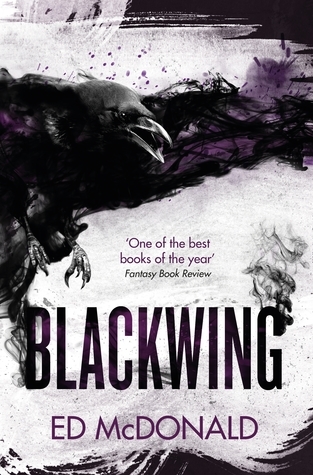 My thoughts: I love a good fantasy novel, and when I heard an excerpt of Blackwing earlier this I knew I had to read it. I'm pleased to say it absolutely lived up to my expectations and hopes! The book begins with Galharrow and a small group of mercenaries travelling through the area known as the Misery, chasing down some criminals. It sets the scene well, as the book takes place along the border of the Misery and this episode introduces some of the creatures that result from the creepy magic that infects the Misery - many humans who go in don't stay human, and if they do, they're constantly under threat from the things that didn't. From here, the story never slows down. As Galharrow tries to protect a local noblewoman, he discovers that the machine which should be protecting his country from the Deep Kings who live on the other side of the Misery might not be being maintained the way it should. As he tries to uncover the truth, various parties try to keep him quiet. I loved the little revelations as Galharrow uncovers different pieces of information and tries again and again to fit them together. I really didn't see the end coming the way it did - Ed McDonald's skill in writing it this way is excellent. It's a very grim book in a lot of ways. Galharrow is an alcoholic, the setting is - pardon the pun - miserable, and the baddies get to do a lot of bad things. I also really liked the version of magic in Blackwing: 'spinners' can collect moonlight and channel it into power, often for mundane things like lighting but it can also be thrown in a blast as a weapon. This is dark, gritty fantasy, and it's been executed perfectly. 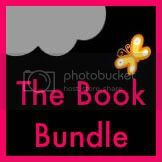 I was kept in suspense throughout, and couldn't put the book down. Ed McDonald is a great new talent in the fantasy genre, and I already can't wait for his next book. I'd recommend this for fans of Joe Abercrombie or Scott Lynch, but if you're relatively new to fantasy it's also a great book to get stuck in to. Overall, I'm giving this 10 out of 10 - it's one of the best books I've read this year. Blurb: Only one boy can see the darkness. Only one man can save him from it. These are the words written in blood beside the body of an elderly tailor who has been tortured and murdered in the ancient town of Cordes. He leaves behind a cryptic message for his granddaughter and her son, Leo – one that puts them in immediate danger. When the mother and child are forced to go on the run, accompanied by the enigmatic Solomon Creed, they find themselves hunted across France, on a journey that will take them into the heart of Europe’s violent past. What begins as small-town murder will become a race to uncover a devastating secret dating from World War II. The few men who know the truth are being killed by a powerful organisation, and only one man stands in its way. 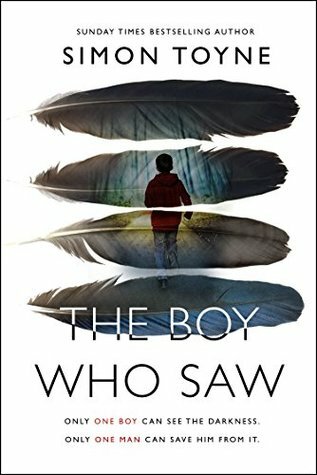 My thoughts: The Boy Who Saw is the sequel to Solomon Creed, which I read when it came out and really really enjoyed. It left me really wanting to know more about Solomon Creed, who he was, and where he came from, so I was excited that proofs of The Boy Who Saw arrived in the office while I worked at HarperCollins. The book gets off to a dramatic start, with the gruesome murder of a tailor, who is being tortured for information. The killer wants information about a list. As police begin their investigation, Solomon Creed enters the picture. As in Solomon Creed, he has very few memories - in fact this book takes place just a couple of weeks after the events of the first. There are two main threads to the story, wrapped around each other. The first is the Dan Brown-esque mystery of what the murderer was looking for, and the flight of the granddaughter and her son across France, aided and abetted by various others along the way as they try to remain ahead of the killer and also solve the clue left behind by the tailor. Entangled with that is Solomon's quest to figure out who he is and where he came from, a quest that is exactly why I wanted to read this book so badly! There are a few more clues and a little bit more light shed on the situation, but if like me you wanted to find out 'who is Solomon Creed' you'll remain disappointed for now. The upside of that is that there must be more books to come! As with Solomon Creed, The Boy Who Saw is full of elements that make you think 'Is something supernatural going on here?' Most of them can be explained away, or dismissed as overactive imaginations, but then, like in book one, a couple of things happen which unquestionably are something magical. Simon Toyne has written very skilfully to keep the reader guessing about this, and the plot is full of twists and turns. Fans of Solomon Creed will not be disappointed with this followup, and overall I'm giving it 8 out of 10.